Join the Kiddie Junction For Kids Only Summer Camp! 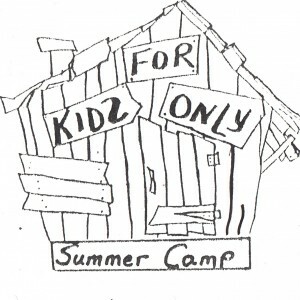 For Kids Only Summer Camp is a supervised day camp right in your neighborhood! With amazing outdoor and indoor activities designed for all age groups, there is always plenty of excitement and fun for everyone! ★ Special Days Such as Backwards Day, Olympics, Kids Garage Sale, and “Cream a Counselor,” are just a few weekly special events! This year we’re doing a number of sessions to suit your needs. Or you may choose your plan. click on the Brochure Button below to read more! Our staff are experienced in safety and FUN!!! Low teacher to child ratios. We have certified teachers specializing in early childhood education. We are affordable and flexible. We offer the full 11 weeks, or days that you choose. You are required to wear camp shirts, they can be purchased with registration. As the parent you will have to sign your child in and out. If someone else will be picking up your child, we must be notified and that person must present proper id before your child is released. Other than field trips, the campers stay on the camp grounds. There’s no traveling from place to place. For Kids Only has been at this location for 26 years. We have 3 acres of land, an enclosed building and in-ground pool for daily swimming and lessons (whether they need it or not). Our camp counselors are always available by phone during camp hours. We allow the parents to come and join our camper anytime during the day for daily activities. We keep the camper educated with safety and with fun. There are special days that the campers go on field trips and other days that campers invite their family to join them. Weekly lesson plans are always available so the parents will know what their child’s activities for the week will be. The campers get their daily exercise and fun. We enjoy many activities that keep their minds and body working. We have Weekly Cook-Outs, Daily Swimming Lessons, Nature Hikes & Parks, Weekly Field Trips, Arts & Craft Projects, Song, Music and Dance. Special Events such as Backwards day, Kids Olympics, Kid’s Garage Sale, “Cream a Counselor” and More! Download the Kiddie Junction Summer Camp Brochure to learn more today!